I have been on holiday from work this week and with no particular plans and a lack of TV (thank you wind for mis-aligning my Sky dish), I have been re-watching some of my favourite films. 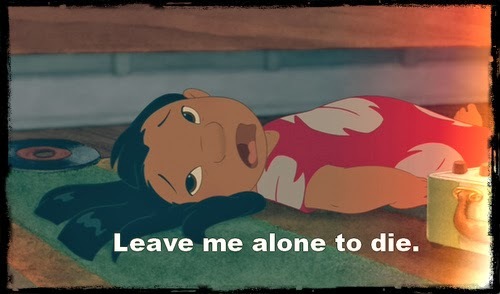 One film I thoroughly enjoyed re-watching was Lilo and Stitch. I loved it when it first came out and still find it absolutely hilarious. 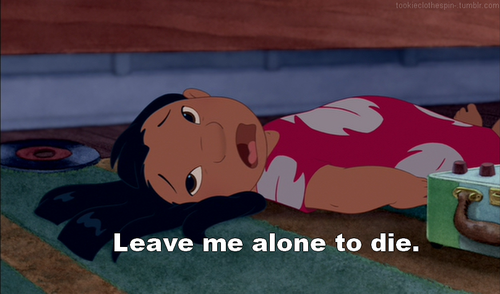 Lilo is one of my all time favourite Disney characters. No, she isn't a princess and no, she isn't all blowy hair and willowy arms like Pocahontas but she is so cute and funny - I just love her. While I was watching the film I had my beady little eyes out for some nailspo and found it in all of the Hawaiian print clothes worn by various characters. The first two prints were worn by Lilo, the third was worn by Stitch and the last was worn by Lilo's dance teacher. My favourites are the two red and white prints. 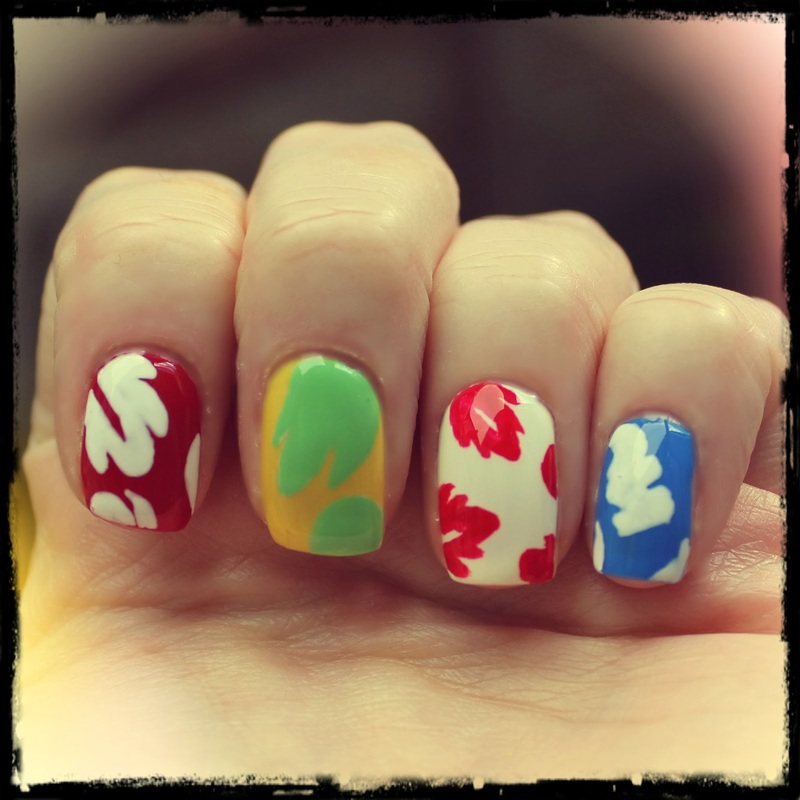 I think I will do another mani in the summer using just these two prints. Who are your favourite Disney characters? Have you ever created a mani for them?